New Porter Novelli CEO Karen van Bergen chats with PRWeek's Lindsay Stein about her first-year goals, international experience, and language skills, as well as how she wants to set Porter apart from other firms. 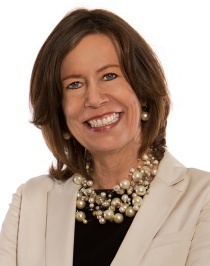 Omnicom Group named Karen van Bergen CEO of Porter Novelli this week, filling the role vacated by Gary Stockman in July. She chatted with PRWeek's Lindsay Stein on Wednesday about her first-year goals, international experience, and language skills, as well as how she wants to set Porter apart from other firms. PRWeek: How will Porter Novelli differ with you as the CEO? Karen van Bergen: I bring a new perspective to Porter Novelli. I am a truly global citizen, as well, I believe. I've been so lucky to work with a great leadership team over the last year that all have their specific talents, and we work so well as a team. It's only improved. I think I have a mix of capabilities. I've worked in-house, in the agency, and in different places in the world. The leadership team recognizes the importance of talent because the talent is what makes our clients happy and business profitable. I embody everything a consultancy is about. I've been both on the client side and on the agency side, and I think I understand really well how those two parts come together and how they can work best in partnership. PRW: What do you hope to have accomplished by the end of 2013? Van Bergen: What I hope to have accomplished by [the end of] 2013 is to have developed the current talent that we have in the workplace further, attracted new talent, and really doing that by creating a greater-than-work environment that fosters collaboration and high performance. And then people getting recognition for the great job they are doing. The second thing is obviously when you have the talent all lined up, you're going to have very happy and satisfied clients and more new clients, who are convinced that Porter Novelli can deliver great results and contribute to their business results. The third point is building on our history of social marketing and continuing to contribute to communities and helping to make them a better place. The fourth one is we've always had a tradition of a strong global network, and [a goal is] to see it even more uniform and really working together and having a great pleasure working together. PRW: How do you want to set Porter apart from other Omnicom agencies, as well as other firms in general? Van Bergen: I would like our work and talent to speak for that. [I want] to really showcase that we give a “greater-than” solution to what the client asks, and we attract and keep the talent. People want to come to Porter to work, and clients want to work with us long-term, and I think that will show how we stand apart. We like to see ourselves as the global boutique, literally giving our people and our clients that feel of an entrepreneurial, very personalized approach, deep experience in the areas we work in, but yet with a global network reach. PRW: Porter has lost quite a few senior staff members in the last year. How do you plan on restoring morale and putting in place a work-life balance for employees? Van Bergen: The work-life balance has always been a very important part of Porter, and I don't think it's going to change. I would like to focus on the fact that people are really seeing a change. They've been seeing a change over the last part of the year and we want to build on that change. Morale has never been as strong as it is right now. I've seen it when [interim CEO Michael Ramah] stepped in and now with the new leadership. People are very geared up to enter the new chapter of Porter Novelli, and it's all going to be good. PRW: How many languages do you speak? How will that help in your new role? Van Bergen: I speak four languages fluently, which are Dutch, English, French, and German. I have a pretty good notion of Italian socially. I can read Spanish, and I can read a bit of the Scandinavian languages. I think it's not so much the languages, but the fact that I've been working internationally all my career, which is now nearly 28 years. I really thrive on working together with different cultures. I'm very curious as to what motivates people in different markets. I've learned to listen to people in different markets because they know their market best and I think that experience is going to help me. PRW: Do you think you are a role model for women in the industry? Van Bergen: I firmly believe that we need to see more women at the top. I think women bring a very fresh and good perspective. It's a reflection finally of equality. There are a lot of women in our industry in different positions and there are not enough at the top, so if I can contribute to that in any way, I'll be happy to do that. I've always been mentoring young and promising women and I continue to do that. PRW: You're one of the few European PR agency CEOs in the US. Do you think that gives you a different perspective? Van Bergen: I can't judge for my peers, but I do have the international experience. I've never been working in one market. I've always worked internationally, which opens your eyes to the great things that happen in different markets and using that information and sharing those practices across the network and making sure that every market gets heard and gets input both when you work for clients and in your own network. The best ideas come from everywhere, and that's something I've learned in my international work, and I very much think that opens my eyes to what's happening in different parts of the world.